In the winter I find myself wearing very little color. Apart from the occasional bright printed tie my winter wardrobe consists mainly of grey, blue, and dark reds and greens. It’s what I’m comfortable in and I think these colors are very winter appropriate so I try to wear them as much as possible. As you can see in this outfit I stayed true to my normal self and wore quite a bit of grey but then went out of my comfort zone with a bright colored sweater. This look is certainly not heavy in details. Instead of adding accessories, I let the clothing speak for itself. 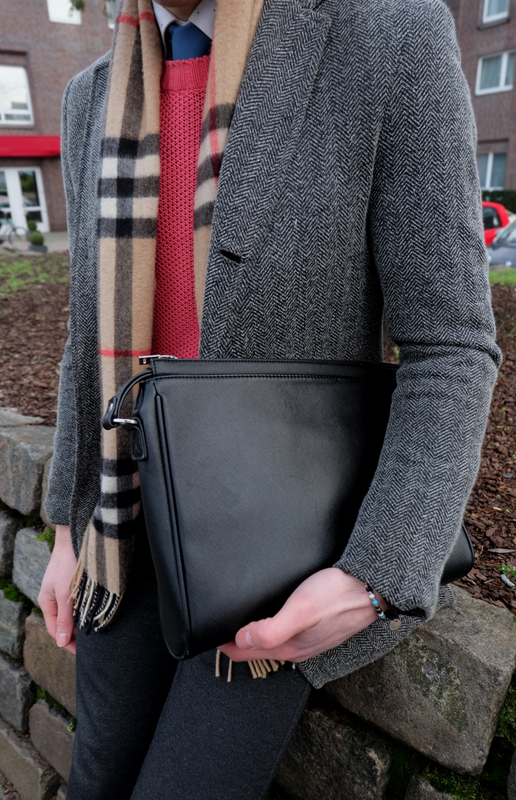 If you take a close look you can see dots on my shirt, see through mesh squares on my sweater and an amazing herringbone pattern on my thick wool coat. So I guess you could say the details are in the textures. Thanks for visiting and have a great Monday! The subtle patterns and textures details finish it all off nicely. beautiful sweater. i like this color bro!!! 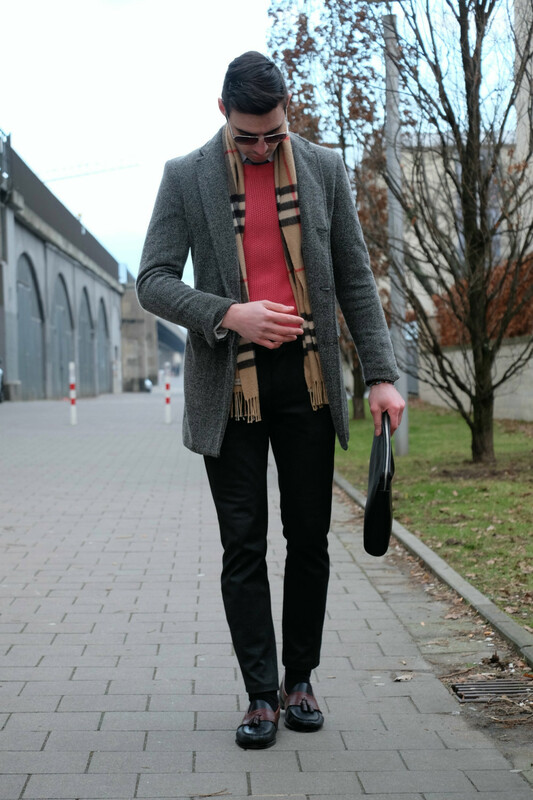 Super awesome look, so much style - the coat is my favourite item! Wow! That pink sweater! So cool with the scarf! Perfect look Justin! perfect outfit! 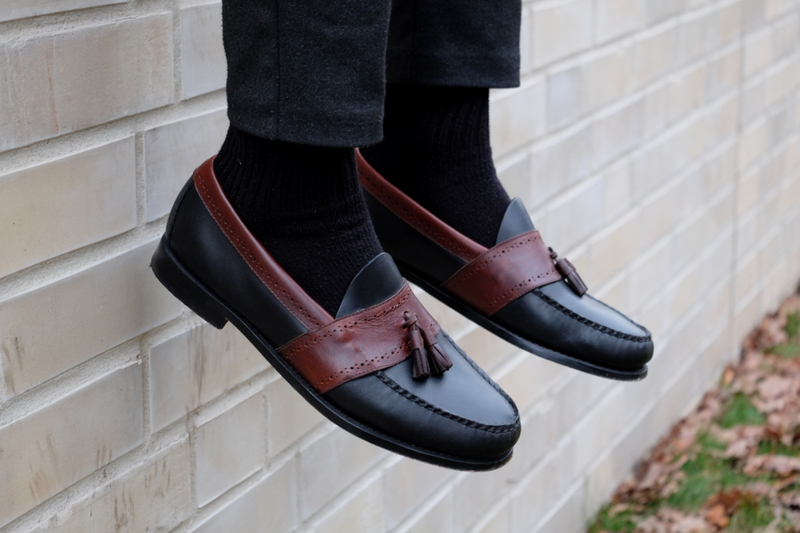 dapper from head to toe. would you like to follow each other? let me know! Nice outfit Justin!!! The sweater rocks! I love that sweater on you! All that layering makes me all the more curious about winter weather and dressing. Living in the tropics, I'd sweat a ton if I attempt this. very elegant! love the color of the sweater :) congrats! Love the colour pop mixed with the grey tones, look so well! 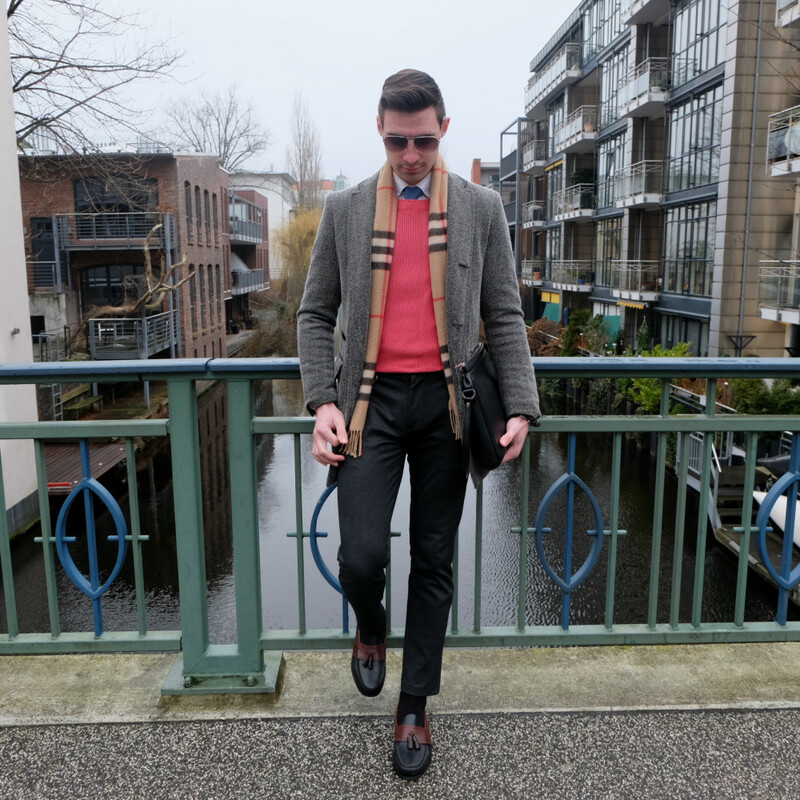 Refreshing to see a great men's fashion blog, love your style! 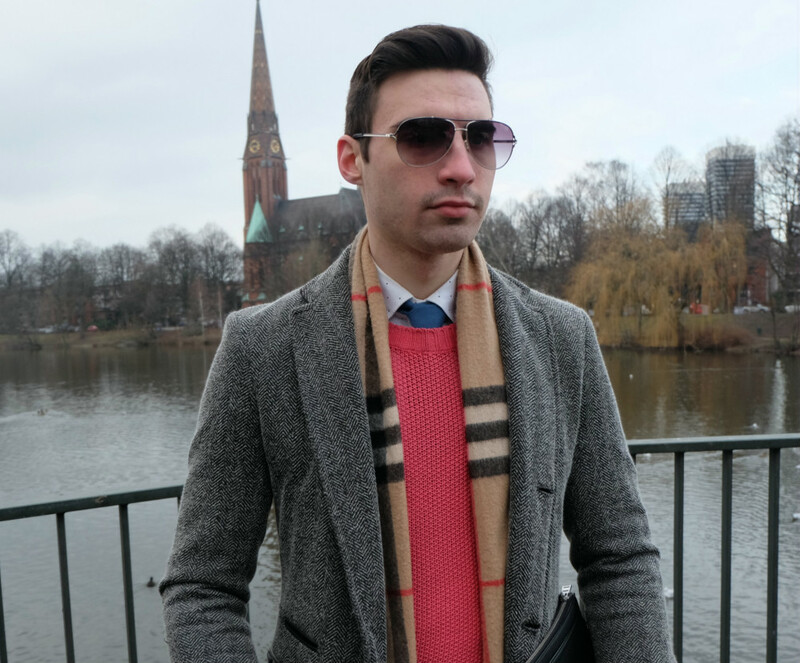 Great outfit, I love your use of the salmon color sweater with the neutral tones! Loving your sweater, also love the fact you added the scarf I feel it really completes the outfit :) Great look! Wow... I love this pop of coral from your sweater... great look!!!! 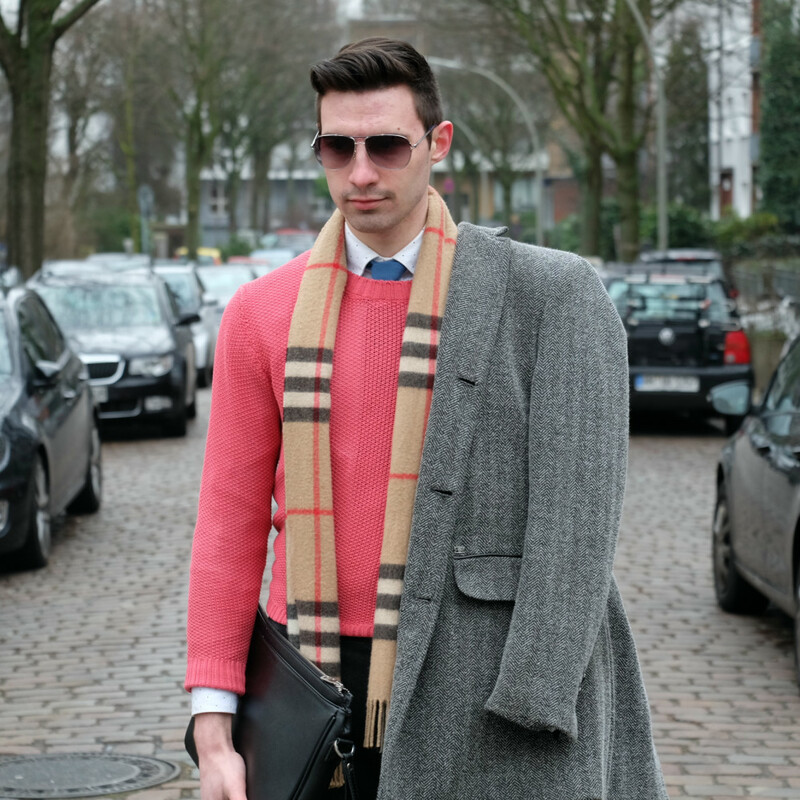 Most of the time I am anti pink on men, but I like this sweater on you! 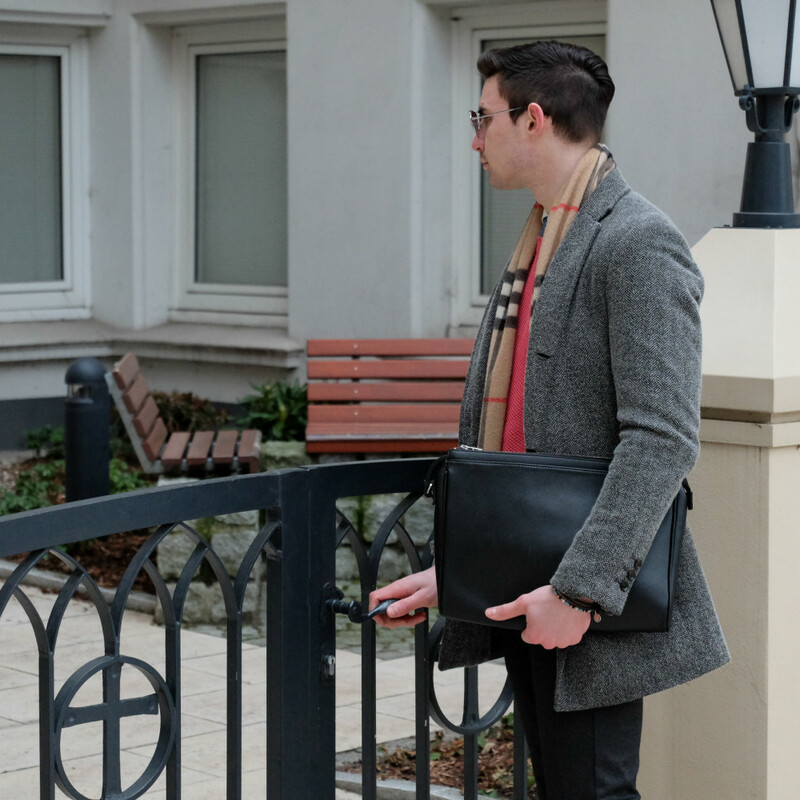 Your style is so perfect, if only all guys looked so dapper :) I love your blog and I have followed you with Bloglovin. If you ever get a chance to check out my blog I would be delighted, thanks! Love the color mix, and shoes are perfect! Lovely look, your scarf is soo cool! The colour of this sweater is perfect to make the outfit very glamour!! Everything about this look is perfect- the sweater, the shoes, the bag, love it! Perfect look! Love the pop of color! I officially love your style unconditionally !!!! keep on going man keep it up!!! Love that coral sweater - grey color! So dapper! I love how you styled this look and those shoes are amazing! Love the pop of color in your outfit, really brightens it up! Good job! You have a great sense of style! Would love to have a sweater in that color! the sweater omg arr! so amazing in this winter outfit !!! love love love !!! Perfect outfit ;) The color of the sweater is amazing. This sweater is amazing, i fell in love with the color! This is such a great idea, that you put a pop of color on this classy look! I love it! Stylish as always! Perfect combination, chic and elegant. Love this! I find myself wearing all black more often than not, but have to remind myself every now and then to wear a pop of color. It definitely helps make winter seem less depressing. Seriously obsessing over the pop of color and love the two tone shoes! This is a perfect look. I especially love this bright colour and what a gorgeous scarf. I really love this outfit on you! I think it's fantastic, the coat is gorgeous! It's always nice seeing men experimenting with colour. The sweater is super nice. The whole outfit is great put together. Great post and great photos. Like a lot. If you want to follow each other, lett me know. I always follow back. Follow for follow? Very nice! You have a great style!